Atlanta’s first Eco-Decorators’ Show House, Greenhaven is now open for FREE tours through August 9th. Located in Chelsea Landing – the first eco-friendly neighborhood community in East Cobb – the home was built by Pace Homebuilders. Greenhaven will carry the US Green Building Council’s LEED for Homes (Leadership in Energy and Environmental Design), Earthcraft House, Energy Star, Health House, and NAHB green building certifications and showcase the latest in green building techniques, sustainable design, state-of-art technology and energy efficiency. Twenty of Atlanta’s top decorators, each with a fresh and unique perspective on eco-friendly design, has worked with the LEED program guidelines to transform the 7,000 square foot house into a green show home to be toured by all. To complement the inspiring design, Pace Homebuilders’ Richard Feis will unveil Greenhaven to be an archetype for maximum sustainability and energy-efficiency. The implementation of state-of-the-art technologies in the design of Greenhaven will create a smart and functional home to evolve with the needs of today’s family. 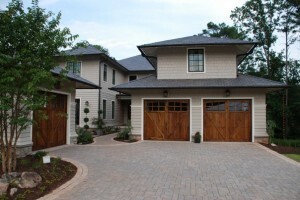 For more information about Greenhaven, visit www.greenhavenhome.com. This entry was posted in Featured, Green Awards, Green Building Legislation, Green Developments, Green Events, Independence Station, LEED and tagged chelsea landing, eco-decorators show house, eco-friendly home, Greenhaven Show Home, Pace Homebuilders on July 16, 2009 by Carol Morgan.